As a child, Adam Gidwitz would play with his GI Joes for hours, telling imaginative stories as he held the action figures in his hands. While shooting baskets and dunking on the six-foot hoop in his driveway, too, he would make believe he was a star in the NBA. But not until he was a young teacher in New York City did he begin to write these stories down, ultimately quitting his job after two years to pursue the profession full time. 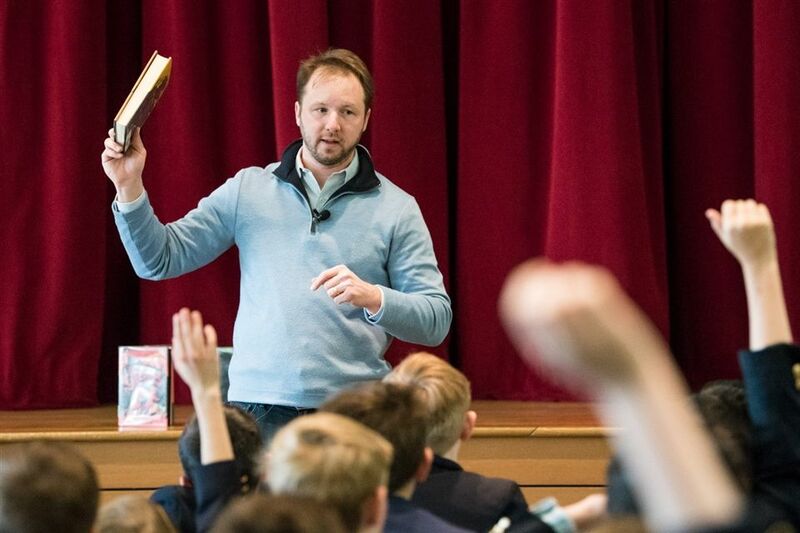 He’s now the bestselling author of A Tale Dark and Grimm, In a Glass Grimmly, and The Grimm Conclusion, as well as The Empire Strikes Back: So You Want to be a Jedi?, and the Newbery-honored novel The Inquisitor’s Tale. 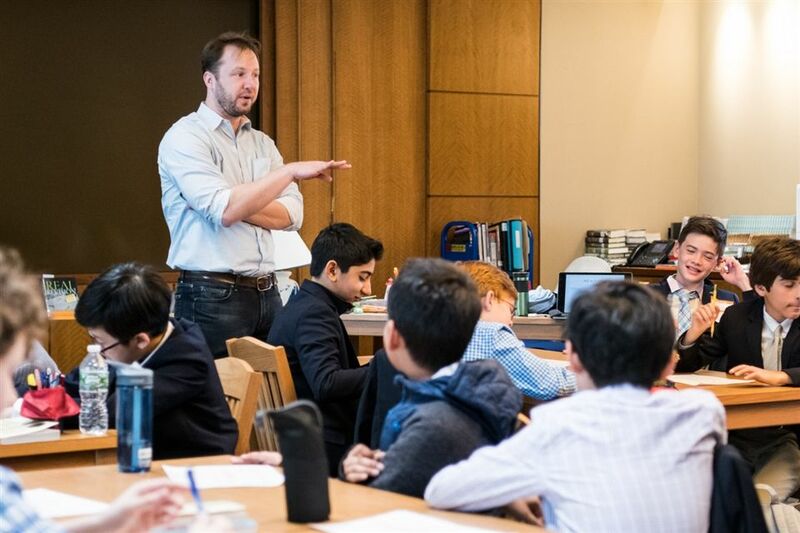 Gidwitz visited the Middle School for a discussion about his career and a series of writing workshops on Thursday, March 28.